German brewers have called on Angela Merkel’s government to block plans to “frack” shale gas reserves over concerns it could taint the purity of the country’s beer. According to a report by Bloomberg, The Association of German Breweries (AGB), which represents companies such as Anheuser-Busch InBev and Bitburger, has spoken out against proposed legislation to carry out fracking of the country’s shale reserves to release gas. 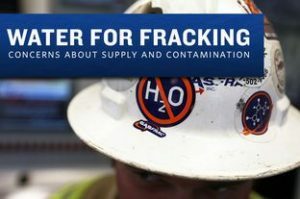 Fracking is the process of drilling and injecting fluid into the ground at a high pressure in order to fracture shale rocks to release natural gas inside. The AGB has said the proposals do not protect drinking water and could overstep the country’s 500-year-old law on beer purity and have called for the legislation to be postponed until it can be proven the practice would not contaminate the country’s groundwater.